I had never realized how much epilepsy and autism seem to inter-relate, this is despite having supported people with both autistic spectrum and epilepsy health problems who were taking anticonvulsant medication. It goes to show how a different perspective can help with a problem. I had just never looked into it from this point of view, but now I’m intrigued. Like many things in life once you see something in one place – you start seeing it everywhere! Low and behold the Epilepsy Therapy Project newsletter this month has a book review that looks very promising. ‘Silently Seizing’ by Caren Haines, with input from Nancy Minshew. I have put up the link to the review at the top of the page, I find this newsletter very interesting. ‘A conundrum often faced by those with autism and/or epilepsy is the confusion between these seemingly disparate conditions. Many facets of autism spectrum disorder can have aspects that are similar to the presentation of epilepsy, and vice versa’. I’m just off to order it now. Thank-you Epilepsy Therapy Project and Ahmrita Nautral Mental Health. Follow the link to find events in the UK hosted by Epilepsy Action that will be held in London, Llandudno, Birmingham, Bristol and Sheffield next year. It’s good to have options! I found this blog on autism by ahmrita natrual health really interesting and there is a great link to about the neurodiversity movement. I am hoping to enlarge on this with some back up from a webinar I have seen this week and also an article about early behavioural interventions, which I am still reading. I don’t believe Autism Spectrum Disorders are mental illnesses; rather, they are neurobiological disorders. They are a neurological difference instead of a sickness. Treating it as a mental illness makes it seem like the person with it is ‘not quite right’. True, some may have struggles and need coping skills taught to them for their particular challenges but I would certainly not deem them mentally ill. Autism is part of the person and makes them who they are. Epilepsy Drugs Free – Is It Possible to Fly Without Wings? There before my eyes was the story of a lady so rare that she could be listed as an endangered species next in line to the Dodo. Unfortunately although Epilepsy Action have started posting new issues of the magazine online the back issues are not yet up, so I will briefly outline Emma’s story. Emma started having seizures in 2008 following a gym training session which caused her to develop a migraine and on the way home she had her first seizure. After initial investigation and a tumour scare, her neurologist told her that a small area of her brain showed up as having died, and was harmless (not a tumour), but caused an increased risk of seizures. This condition was linked to head injury but Emma had never had one. She had been living with Bulimia for 7 years at the time and was not sure when to tell her neurologist. She was diagnosed with Primary generalised seizures and epilepsy in 2009, when she was offered anticonvulsant medication. At this point Emma’s story deviates drastically from the one’s I have read about previously, because she decided to meet a natural nutritionist who listened to her concerns about the side effects of anticonvulsant medication. She says she was cynical about meeting her nutritionist because she didn’t see how changing her diet could stop her having seizures; her doctors were quite clear there was something wrong with her brain. The nutritionist really listened to her which was the first time she felt this had happened. Information was gathered about events surrounding her seizures, emotionally and physically, health from birth to present day, Family history of health and illness, her troubled relationship with diet and exercise. The nutritionist was clear that she could not ‘treat’ epilepsy, but the aim was to improve migraines that seemed to be linked to the condition. Additionally, to help Emma reduce the stress of experiencing epilepsy. Emma made dietary changes, created a tailored supplement programme using naturopathic techniques from the nutritionist. Emma’s friends and family had reservations but within 6 weeks Emma noticed fewer migraines with loss of vision. Additionally she felt she had more energy, felt less stressed and craved less exercise, she felt the incentive to continue. She also enrolled in counselling specifically to help with her bulimic symptoms. She went to psychotherapy. Understanding how her early life had formed her thinking, feeling and behaviour and how it affected her relationship with food. It also helped her come to terms with having epilepsy. Things got complicated when she started her teacher training. Emma had to rely on public transport where before she could drive. Between the long journeys, work and pressure she became tired, relapsed into her old stress, exercise and bulimia problems and so a year after her first seizure she had another one. Obviously she was devastated. With a second seizure came further loss of independence and driving. Her consultant said she was at 90% risk of more seizures. Emma purchased ‘Treating Epilepsy Naturally’ by Patricia Murphy (2). She started to receive acupuncture and zero balancing therapy in addition to nutritional therapy. She went to a complementary therapist for massage which helped her to manage stress. Emma states that her ‘team’ of therapists helped her to come to the painful realisation that she thought she was unable to love and accept herself unconditionally. In December 2011 Emma had been seizure free since 2009 and was looking forward to a career in music and was experiencing good physical and emotional health. Emma finishes by acknowledging the contribution that western medicine has had on epilepsy treatment options. Emma ends by saying that natural health offers a totally effective therapy that can be tried alongside medication. She thinks it can work for everyone. Epilepsy Today have BIG red writing paragraphs underneath about there being no scientific evidence to suggest that any type of complementary treatment is successful in curing epilepsy; AND about using complementary treatment alongside anti-epileptic medication rather than on its own. It also signposts to www.cnhc.org.uk Complementary and Natural Healthcare Council to find a trained and qualified complementary healthcare practitioner. Personally there is a lot about Emma’s story that I could relate two, although the circumstances around our epilepsies are completely different. I would also state that in my experience no anticonvulsant medication has ever ‘cured’ the seizures I experience. I have also used a large number of complementary therapies on my epilepsy journey, and there is a small army out there who I need to thank. Unlike Emma I do take anticonvulsant medication. I was very young when my seizures started and so never had the opportunity to choose alternative therapy as a sole treatment from the outset. I sometimes wonder what it would have been like to try alternative therapy as my main source of treatment, and whether or not the drugs I have taken over the years prevent me from ever finding out. I don’t know what research there is in relation to neurodevelopment when anticonvulsants are prescribed. Research into Cannabis shows that this drug does affect neurological development (3), I wouldn’t trust a drug company to honestly state what anticonvulsant medications do to the developing brain, but I still take my medication. (4) I did have really big problems with learning on some medications. Emma mentions a book by a lady who chose to treat epilepsy naturally; I have found a second in my search for natural treatment see (5). From this I have concluded that the incidence of completely natural epilepsy treatment is very much like spotting an extremely rare bird, there isn’t a high incidence of sightings. For me Emma’s story goes to show it is possible in some RARE circumstances to ‘fly without wings’ and go it alone without medication, and for her sharing her story I am grateful. She might be rare but she is flourishing and that is really something to behold. Emma BELIEVES she can fly. It has served to highlight to me how unique we really all are in our health needs, experiences and treatments. 1) Epilepsy Action Magazine – Epilepsy Today Issue 110 December 2011 pages 27-30.
intereasting thoughts on the value of combining alternative medicine with western medicine to optimise healing in an integrative way. A new trend in Western medicine, including top medical schools like Harvard, is using the power of ancient cures. Ok, maybe your doctor won’t ask you to do bee sting therapy or psychic surgery, but there are a few modalities in the alternative medicine field they may start to consider. The change of heart may stem from the fact that Western studies are now being done on these ancient practices, and the research is proving just how effective they can be! What is the mind’s eye? Fire that starts with a spark and gathers momentum as the timber burns? Water springing from the ground, running to a river that flows to the ocean? Space? We look out at the stars and imagine how they run on forever. The seat of the soul. Reading books on mind, brain and matter, pondering ‘the depths’ with writers, philosophers and neurologists. What is it that makes me, you and us? Is there a switch that gets turned on and off? Does it all go dark when the lights go out? Who, why or what turns the lights back on again? Like a rare species it hides from you when you go to look for it, and rises up to bite you in the bum when you least expect it. Dreams that alert us to areas of life that need attention. Bodies that record without us realising. A computer or a quantum force? How are we alive? Is it the third eye? Is it the Shen? Is it God, biology or physics? Our bodies can create new life, new consciousness. I only hope that I never cease to wonder at how this can be. When I stop to think that it really is a miracle that I am here at all. How I hope that when it all stops I have thought, felt and been present for as much of the time as I am alive. We are here for just a drop in the ocean of time, it would be a sad to miss a single moment. clarityclareblog link to tips to helping with mood and diet changes with seasonal change to winter. Very helpful diet information. It’s the time of year where the light of the day shortens and many people begin to suffer from “Seasonal Affective Disorder” (SAD) which is depression associated with long periods of dark and gloomy weather. SAD suffers will often experience increased appetite, weight gain, increased food cravings, improper sleeping habits, a decrease in mood among a myriad of mental/emotional symptoms. There is hope! With Homeopathy, a change in diet and the addition of Light therapy. Homeopathy provides a safe and natural way to treat the symptoms of Seasonal Affective Disorder (SAD) and helps strengthen the immune system as well as boosting your spirits. 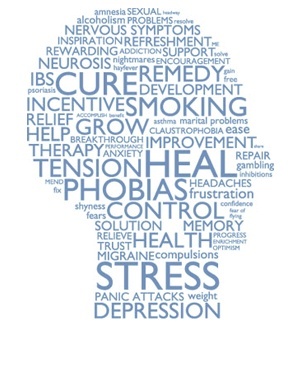 Homeopathy takes an individualist approach to each person’s experience of coping with the symptoms of SAD. A personalised prescription is given to help stimulate the body’s own healing response and no two people would necessarily receive the same homeopathic treatment. An interesting post from accross the pond (click to link) from Epilepsytalk on new developments in medication for uncontrolled seizures. A new type of anti-epilepsy medication that selectively targets proteins in the brain, controlling excitability, has been developed by Johns Hopkins led researchers. The purpose of this revolutionary new drug is to significantly reduce seizure frequency in people whose recurrent seizures have been resistant to even the latest medications. In a multinational, blinded, placebo-controlled trial of more than 700 people with uncontrolled partial-onset seizures, roughly one-third of participants saw the frequency of their seizures fall by more than 50 percent when they were given 8 milligrams a day of Perampanel. Those in this trial typically had about 10 seizures a day! The participants in the study, reported in the journal Neurology, were all taking one to three anti-epileptic drugs before adding Perampanel (or a placebo) to their regimen.